Older women experience UI more often than younger women. But incontinence is not inevitable with age. UI is a medical problem. Your doctor or nurse can help you find a solution. No single treatment works for everyone, but many women can find improvement without surgery. Incontinence occurs because of problems with muscles and nerves that help to hold or release urine. Obesity, which is associated with increased abdominal pressure, can worsen incontinence. Fortunately, weight loss can reduce its severity. Stress - leakage of small amounts of urine during physical movement (coughing, sneezing, exercising). Urge - leakage of large amounts of urine at unexpected times, including during sleep. Overactive bladder - urinary frequency and urgency, with or without urge incontinence. Functional - untimely urination because of physical disability, external obstacles, or problems in thinking or communicating that prevent a person from reaching a toilet. Overflow - unexpected leakage of small amounts of urine because of a full bladder. Mixed - usually the occurrence of stress and urge incontinence together. Transient - leakage that occurs temporarily because of a situation that will pass (infection, taking a new medication, colds with coughing). The first step toward relief is to see a doctor who has experience treating incontinence to learn what type you have. Gynecologists and obstetricians specialize in the female reproductive tract and childbirth. A urogynecologist focuses on urinary incontinence, pelvic organ prolapse, and associated pelvic problems in women. A urologist specializes in the urinary tract, and some urologists further specialize in the female urinary tract. Any of these doctors may be able to help you. In addition, some nurses and other health care providers often provide rehabilitation services and teach behavioral therapies such as fluid management and pelvic floor strengthening. To diagnose the problem, your doctor will first ask about symptoms and medical history. Your pattern of voiding and urine leakage may suggest the type of incontinence you have. Often you can begin treatment at the first medical visit. Bladder stress test - You cough vigorously as the doctor watches for loss of urine from the urinary opening. Urinalysis and urine culture - Laboratory technicians test your urine for evidence of infection, urinary stones, or other contributing causes. Ultrasound - This test uses sound waves to create an image of the kidneys, ureters, bladder, and urethra. Cystoscopy - The doctor inserts a thin tube with a tiny camera in the urethra to see inside the urethra and bladder. Your doctor may suggest making it a point to use the bathroom at regular timed intervals, a habit called timed voiding. As you gain control, you can extend the time between scheduled trips to the bathroom. Behavioral treatment also includes Kegel exercises to strengthen the muscles that help hold in urine. 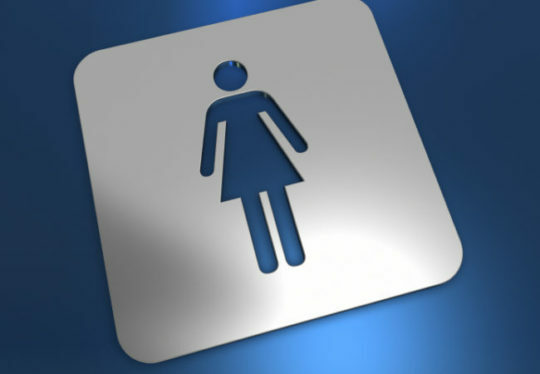 If you have an overactive bladder, your doctor may prescribe a medicine to decrease frequent urination and urgency. For urge incontinence not responding to behavioral treatments or drugs, stimulation of nerves to the bladder leaving the spine can be effective in some patients. Neuromodulation is the name of this therapy. The FDA has approved a device called InterStim for this purpose. Your doctor will need to test to determine if this device would be helpful to you. InControl Medical, LLC, a women’s health company focusing on female urinary incontinence, introduces InTone®, the non-surgical, drug-free treatment for female urinary incontinence in women. InTone solves bladder leakage by utilizing several patented muscle stimulation algorithms, active resistance and biofeedback to dramatically increase muscle strength in the pelvic floor. A variety of bulking agents, such as coaptite and carbon spheres, are available for injection near the urinary sphincter. The doctor injects the bulking agent into tissues around the bladder neck and urethra to make the tissues thicker and close the bladder opening to reduce stress incontinence, which takes about a half hour. Over time, the body may slowly eliminate certain bulking agents, so you may need repeat injections. Your doctor will discuss which bulking agent may be best for you. In some women, how the urethra is supported can be affected, especially following childbirth. Surgeons have developed different techniques for supporting the urethra. The three main types of surgery are retropubic suspension and two types of sling procedures. Finally, many women are afraid to mention their problem. They may have urinary incontinence that can improve with treatment but remain silent sufferers and resort to wearing absorbent undergarments or diapers. This practice is unfortunate, because diapering can lead to diminished self-esteem, as well as skin irritation and sores. If you are relying on diapers to manage your incontinence, you and your family should discuss with your doctor the possible effectiveness of treatments such as timed voiding and pelvic muscle exercises. For more information on incontinence, download Cleveland Clinic's Free Pelvic Organ Prolapse Treatment Guide.